Please contact us to inquire about availability for our commercial snow plowing services. First on the Road, Last off the Road – More than just a motto, this is typically what we do when providing commercial snow removal services. We are almost always the first crews on the road and often one of the last to quit for the day. Long Days are Part of the Formula – We commit our crews to working very long days when removal services are needed. We know this is an investment. We know that others cut corners. But we don’t. Integrity and doing the job right is what we do at PPM. We Work and Work Until it’s 100% Done – How often have you had snow removal services that either come too late (after you and your employees have already arrived at the office, having to trudge in through the snow) or leave too early (more snow falls after their first visit, making your office’s parking lot a mess again – leaving your employees to trudge out in the snow again)? PPM avoids this messy situation by not leaving until the job is done – even if it requires multiple visits during the same day. Our snow removal equipment is top of the line – including a fleet of plow and salt trucks, skid steers with plows, and small machines for servicing sidewalks. We also use all sorts of melting products – to protect your property, while providing the most appropriate melting products for your property’s wintery or slippery conditions. For warmer seasons, we also offer commercial lawn mowing and landscaping services. Check out our new equipment! With a 90%+ retention rate and many of our customers being with us for more than 15 years, our customers tell our story. 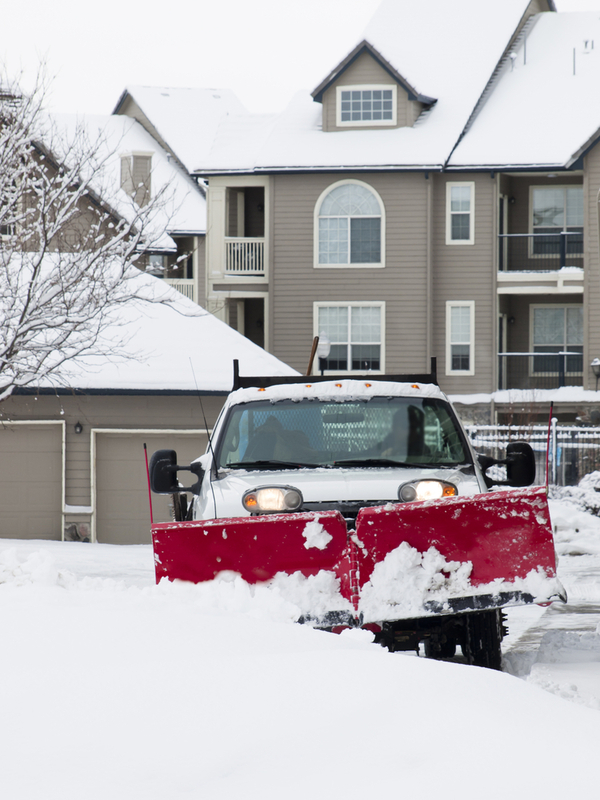 Simply put, we provide great 24/7 service to condominium complexes, apartment complexes, office complexes, and businesses, getting them plowed and salted by the time residents get up and/or by the time they get to work. Just ask the folks at Rivergate Condominium Complex in Westland– we’ve been providing outstanding snow plowing services to them since 1998. Or ask the owners or employees of Structural Images in Wixom – happy customers of ours since 1999. Aren’t All Commercial Snow Removal Services the Same? At PPM, we know the answer to this question is a strong ‘absolutely not’! 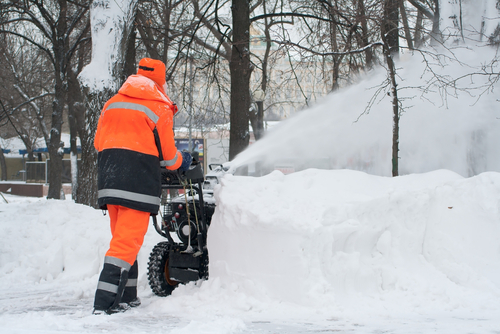 The difference between a great commercial snow removal service and an average or poor service is typically in the details – details that when neglected, result in headaches and hassles for the business owner.